We focus on building our clients from the inside out. You cannot have a healthy exterior, without a healthy interior. The human body is like an engine. You need to add the right type of fuel to make it run efficiently, with the highest power output. We do not believe in restricting fuel, because it will cause the engine to run out, or worse breakdown. You need to eat to lose fat and build muscle density. Each can be done at the same time if you use the right types of fuels at the right time. We provide personalized nutrition macronutrients, meal plan, supplement plan, grocery list, sleeping plan, daily access to us for questions, bi-weekly adjustments, and a whole lot of accountability. The nutrition program is a hybrid of multiple different methodologies with an emphasis on maintaining a balanced hormone state, burn fat, build dense muscle, get stronger, get faster, have more energy, and have long-term success. All at the same time. We work with individuals who do not workout, as well as athletes of all sports. We believe everyone can benefit from our customized nutrition programs. 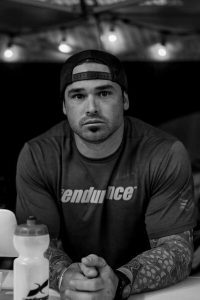 After a serious injury playing college baseball, I took the path of healing myself naturally through food. I had two reasons. First, I didn’t want to have surgery. Second, I couldn’t afford it. This led me to research, and test many different methodologies on myself in order to find a way to recover from my injury. I have been fortunate enough over the past 14 years of research, and testing, I can apply the different methodologies to my clients to help them with their specific needs. My sole purpose as a coach is to help my clients achieve their health, and fitness goals, whatever they may be. I believe we have an ethical responsibility, as coaches, to provide the highest quality of coaching to every client, no matter what. I have worked with all sports, ages, and skill levels with phenomenal success with each. 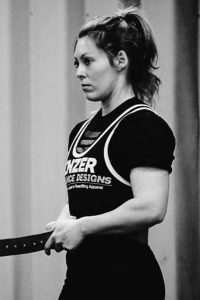 Wife, Trainer, Co-Owner of The Fitness Coalition, Sports Nutritionist and 60kg Raw Powerlifter. Owning a facility and growing more competitive in CF/Powerlifting/Strongman my hunger for learning/pursuing more about fueling for performance has grown dramatically. I’m training and coaching clients of all types in nutrition every day. I can now say that I’m pursuing my passion to help others find their strength and achieve the goals they’ve always wanted for themselves physically, mentally and emotionally.